In this economic climate, everyone is aware that the job market is competitive than before and is getting even tougher. The employers hiring trend is less as the economic growth is slow. So what does that mean? It means it’s a buyers’ market and it would be harder for one to sell oneself. The good part is that there are still in-demand jobs where specific market sectors do have high employability that is growing faster than the economy. Being employable is the trick of the hour. Employability applies to people who are looking out for changing their career or who looking out for work, or move up the ladder, there are certain aspects that can make you stand out. It’s not something new to everyone but the same skills that needs to be more polished. Let’s see how it needs to be polished. This is an important interpersonal skill that helps one to stay in the business. In other words, no one would like to work with someone who is always pushing things around and not ‘likeable’. In case you already have the natural tendency of understanding others issues and able to empathize with them then you are half way through. Or else read books on counselling to develop this ability. This is the foundation to becoming more likeable as you have the capacity to forge new relationships and also maintain existing relationships. As economy and businesses are merging with different countries, there is more chances for multi cultural intermingling. Hence, diversity has become a part of modern workplace. You need to take care of the language used and the signs that seems hilarious would create misunderstandings. Hence, learn to adapt yourself for cultural ethnicity that you may need to tackle. For this you need to cultivate tolerance as there is every chance that you could be called upon to interact with someone or people of different backgrounds. What does everyone learn in college or school? It’s just how to learn a topic. A person’s challenge in career is adapting to the changes within the business environment. Individuals constitute a business. So if the business does not adapt itself to the changes in market then it cannot survive. The basic content of understanding the change is done through analysis. Through proper analysis the individuals make or create methods of changes to the business. Hence, it’s vital that anyone who reads the trends would make adaptations to themselves. It requires one to know how to make adaptations. So be ready to learn whenever possible to suit yourself to the needs of the business. If you are very interested in playing games like chess or video games then surely your brain would know how to make the next move. This also would indirectly show that you are capable to adapt to the surroundings. As it is clear that verbal communications is the most important part of being employable, it is better to recap on the communications skills and sharpen them. Try out talking to your friends rather than texting them. This is best way to improve your word skill and also able to express what is in our mind. Even reading books during your leisure time will make wonders in your language skill. Besides this, attend seminars or conferences to know how the presentation is being done and what techniques have they updated. Try solving word puzzles to improve on caliber. Also you could go out of way and meet new friends at social gathering or meetings. It is one way to improve or revitalize the unused conversation techniques that you might have. This is not evident in workplace only, you would have experienced them during your school days or college days. Be it a group activity or seminar or workshop, you are forced to work in groups. Your role would have been a team player or a team leader. Team work requires one to be co-operative, tolerant, contribute ideas to the team, share the responsibility, be assertive, accepting and learn through criticism, giving positive feedback, working confidently within the group. As most of the work whether at home or business center requires one to show cooperation to the other members. Foster this habit of showing compassion and understanding tendency towards the others. All work that surround your day do require some sort of planning. It could be going shopping or paying a bill or dropping off children at school. You start with some sort of planning. If you do get confused with which to prioritize then you would need to write them down and allocate how much time you are going to need to do that work. Indirectly you are also looking on how to manage your time. It’s part of time management skills. If you are not so good, then get help from your elder parent or your mentor who can guide you on how to manage your time or plan a work. You could also apply to yourself by reviewing your achievements or progress and evaluate. After evaluation figure out what is your next step and make plans. To achieve your goals you would need to create steps for achieving that. These plans will need to be revisited to know where you stand and try realigning your plans to make them achievable. To be professional in any job, the main skill is to put quality to your work. 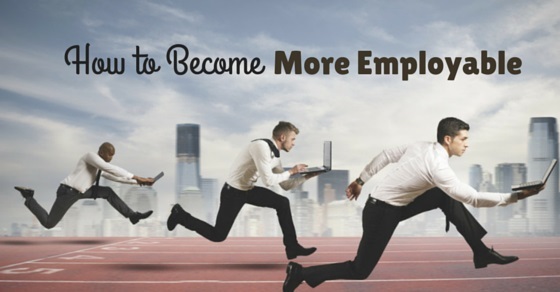 A person who has the tendency to ‘go that extra mile’ to get the best output are most employable. You would need to learn them if you don’t have this attitude. If you are bogged down with something you can’t do then find out if there are other options or ways to get it done. Face problem right in the face and you won’t fear worry. Also don’t make compare to others as it will make you unhappy. Learn to be grateful for the achievements you have done so far and count your blessings. This will make you to feel content from inside and allows focus on your objective. Even if you have encountered a setback or failure, don’t sit back and regret. Instead stand up and see what is the missing factor and surely you would know how to get round it. It is a chance for learning. There is stage in everyone’s life when you need to take a decision whether its career, or selecting a dress or purchasing a house. But when it comes to workplace, decisions are made based on time, cost, and quality. If your previous experiences shows that your decisions were not apt, then make it habit to involve the basic aspects – clarifying the problem first, then collecting data to make decisions, short list the options, finally giving a decision after analysing all the advantages and disadvantages. Practise them regularly to allow the logical part of the brain to deal with issues and not the intuitive part of the brain. In other words, it is just to say how creative you are when you are in face to face with a problem. It’s your ability to think out of the box for getting to the solution. As said creativity is nothing but connecting things and looking at the problem in a different angle. We often are obsessed with the guilty feeling that we would be considered ‘wrong’ if we don’t follow the steps given to us earlier or think the way others do. We don’t in fact allow ourselves to taking risks. Making mistakes has nothing to do with being creative. Try to allow your mind to be free for taking decision and not settle for `safe’ solutions. Take the risks by stretching yourself. Being able to be creative is also one of the critical features of being employable. Develop your lateral thinking skills. There are many types of leaders who are broadly classified to two broad categories – people oriented and task oriented. Besides that there are certain classes of leaders some authoritative, and some participative, depending on the type of work that needs to be done. To know what type of skill you need to nurture, it’s better to get involved in leading a project work, captaining a sport team, chairing a student committee. Getting hands on into this work would help you to learn from mistakes and find out what is missing. Some of the important traits that you would need to focus are delegation of functions, encouraging staff to work towards common goals, giving timely and honest feedback, being fair in your dealings, being self-confident, having trust on staff, speak in positive tone, and possess the necessary skills and knowledge. Though there may be many skills that are considered more employable, the above are the most important that needs to be developed or maintained to allow one to be employable.